I think the furthest place from NYCC this week will be in London. Where I will be, watching you all – and Bleeding Cool writers among them – have tonnes of fun. 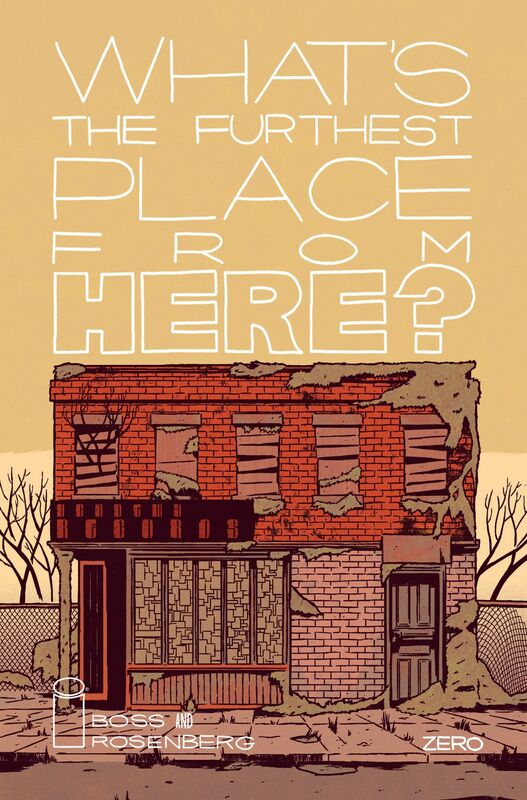 Including Matthew Rosenberg and Tyler Boss who will have ashcans of their new 2019 series from Image Comics, What’s the Furthest Place From Here, a spiritual sequel to the smash hit 4 Kids Walk Into a Bank. Copies of the ashcan will be $15, limited to 200 numbered copies and available at Table A22 in Artists Alley, with Tyler Boss and Matthew Rosenberg. So that’s $3000 earned in the first half hour. But it won’t be all profit, $5 of each book sold will go towards the Trevor Project. Founded in 1998 by the creators of the Academy Award-winning short film TREVOR, The Trevor Project is the leading national organization providing crisis intervention and suicide prevention services to lesbian, gay, bisexual, transgender, queer & questioning (LGBTQ) young people under 25.